We started the holiday off with my girlfriends birthday party. Vicky loves a good party and wanted to go the extra mile for this one. She had booked a hall and a Ceilidh band (basically an Irish Folk, barn dance band). A Ceilidh band with a caller is great for parties as they will play music while guest mingle, eat and catch up but then will get everyone up, dancing, spinning their partners and having an amazing time. With the best part of 100 friends and family coming, we needed to make sure it was going to be a bash to remember. 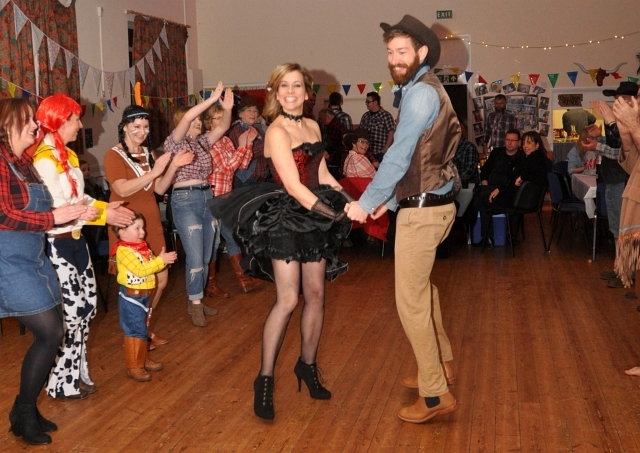 Vicky had decided to theme the party Wild West! There are many great things about this cowboy theme. The first thing is that anyone can throw together a cowboy costume; a checked shirt, jeans and a hat is all you need! Another great thing about a party like this is that it’s guaranteed to be fun, people love dressing up but it’s easy and no stress; if people want to go all out they can but if people just want to wear jeans they can. A great thing about having a party in a hired hall is that everyone can bring their own drinks (always a crowd pleaser) and they even had a kitchen so that Vicky could get a lovely hot meal out to everyone, courtesy of her super star chef father! In order to make the party a huge success we had called in loads of favours. A good friend of mine had lent us a full lighting rig and an awesome PA. The coolest thing of all was because he works in the theatrical world, he had taken me to a prop store and we had picked out all of the wild west themed props. We had fake tree stumps, fake boulders, pickaxes, camp fire equipment, ropes, glass lamps and more. It was literally the best birthday celebration I’ve ever been to. 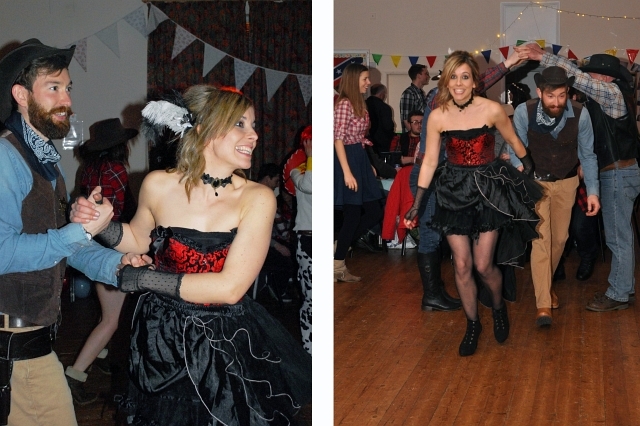 Vicky went to town and dressed as a saloon girl and looked stunning. 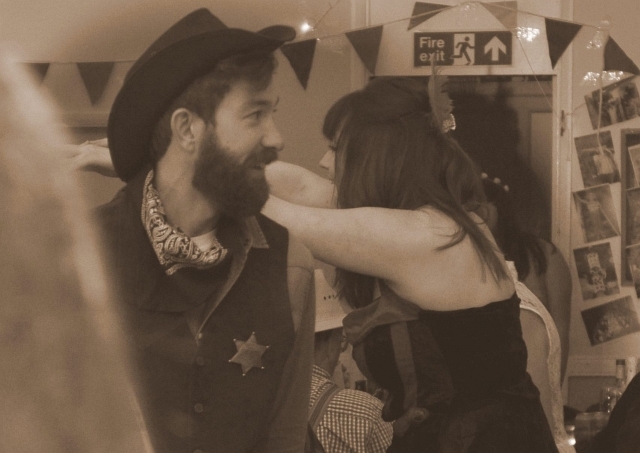 I took full advantage of the opportunity to get dressed up and got really into my sheriff costume. Vicky adored her time and it was definitely worth all the effort organising and setting it up. Dancing was so much fun and everyone got up and followed the caller’s instructions. Tiny children all the way to grandparents had a ball. I don’t think my birthday plans this year will come anywhere near close to topping this fantastic evening! We played a new game over the Easter break too. 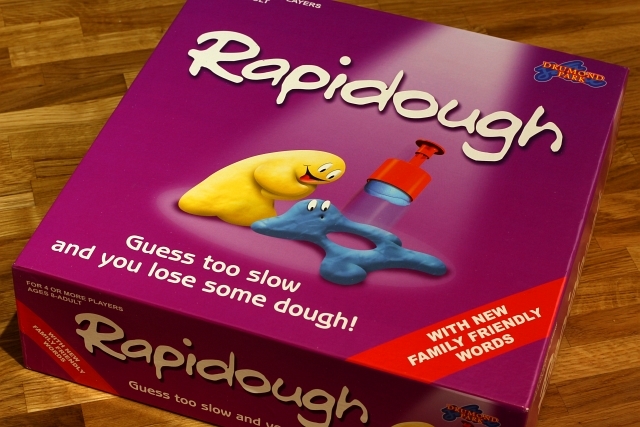 It’s called Rapidough, it’s a really simple, but really fun game for just about everyone. Our friends have just got a new house together in Newquay. Knowing that they like a good game, we popped it in the car and took it with us to see them. After we had had a short trip to the pub, we got back to theirs and cracked Rapidough out. Their house has a lovely living room with a great log burner in it, so was the perfect venue to play some games with friends. It’s always great when a party style game can be learnt in less than a minute. Reading through copious instructions is always a sure fire way to spoil a shindig. 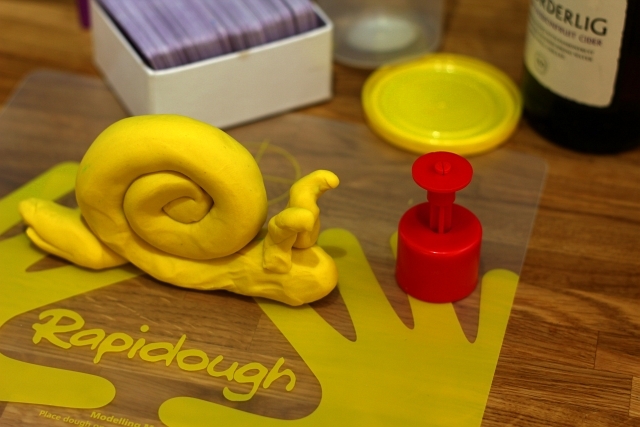 Luckily, Rapidough is crazily simple. It’s basically Pictionary but with playdough. It’s played in two teams, which works as well with big groups as it does with a battle of couples. I think if you have many more than 5 or 6 on a team that it might get a bit manic and not be as fun. Two to six players on a team is definitely where it plays best. A round starts simply that a member of each team reads a word off a card, sometimes there are three words and you can choose which one you want to do. The two sculptors place their hands on the special mats and when ‘Go’ is shouted they both start sculpting. It’s the rest of their team’s job to shout out what they think it is that is being modelled. This is hilarious and I love the comedy moments that go along with this! Eventually, one team will get their word guessed correctly and they are the winning team. Instead of just getting a boring point however, they get to use their special red plunger to remove a quantity of their opposition’s playdough. This makes it harder and harder to model until eventually one team will have no playdough left and they are the losers. We had a complete hoot playing this game and actually played it twice, swapping the teams around on the second go. What is great about this game is that it can really be played by anyone, kids would love this game as well as grandparents. Even though it’s family friendly it’s still a total laugh and if you are used to playing games like Cards Against Humanity or Bucket of Doom you’ll still have a great time playing this. 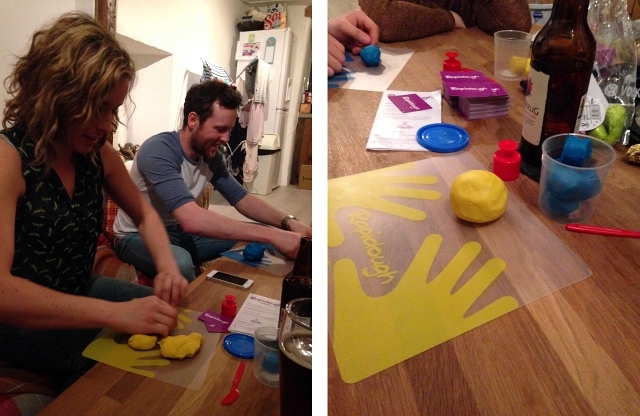 Plus, and this is the real clincher – playing with playdough is always great fun! I would definitely recommend adding this game to your collection, I’m sure it will get used over and over again and will be a classic. We started off our travels by taking a trip to West Country Games in Bristol followed by a night out in Exeter. This was for one of our friend’s birthday and was a brilliant day out. 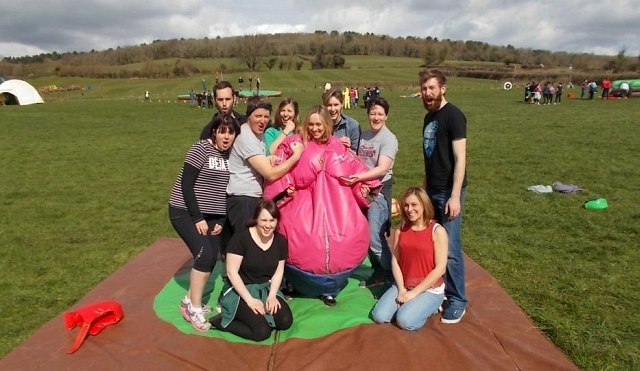 West Country Games is basically It’s a Knockout but with a West Country twist. You go through 9 different games and compete with your chums. 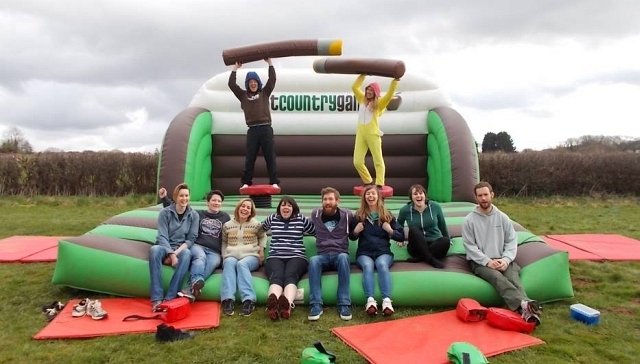 All the games were awesome but one of my favourites was the Cider Run where you have to run down an inflatable course and see how far you can get before you get twanged back by the bungee. My favourite game had to be the sumo suit wrestling. I’ve always wanted to have a go at this and what made it even better was that I got to fight Vicky! We battled it out through three rounds, making the most of our enormous (because of the costume) bellies and shunting each other about. All the games are West Country themed and one even involved the Wurzels! As part of our over 1000 mile road trip we went to Alton Towers! After days of walking I was worried we would be super tired but the constant adrenaline of all the rides kept us going. We got there nice and early to make sure we were at the front of the queues. Unfortunately, it was raining but when we go out of the car we realised that we had full waterproof gear from our Snowdonia travels! 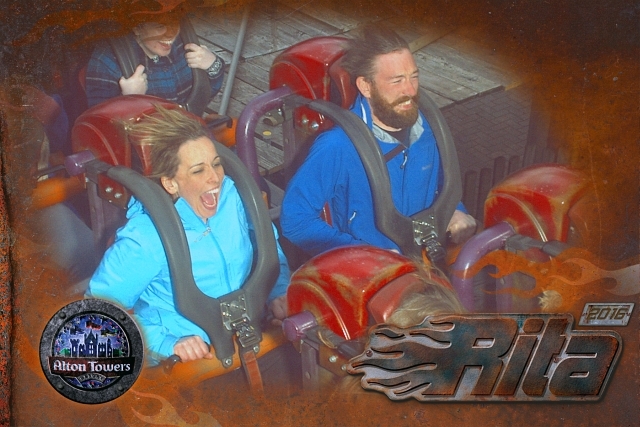 With our Rohan and Didrikson coats and Helly Hansen trousers we were ready for a full on day of roller coaster riding! 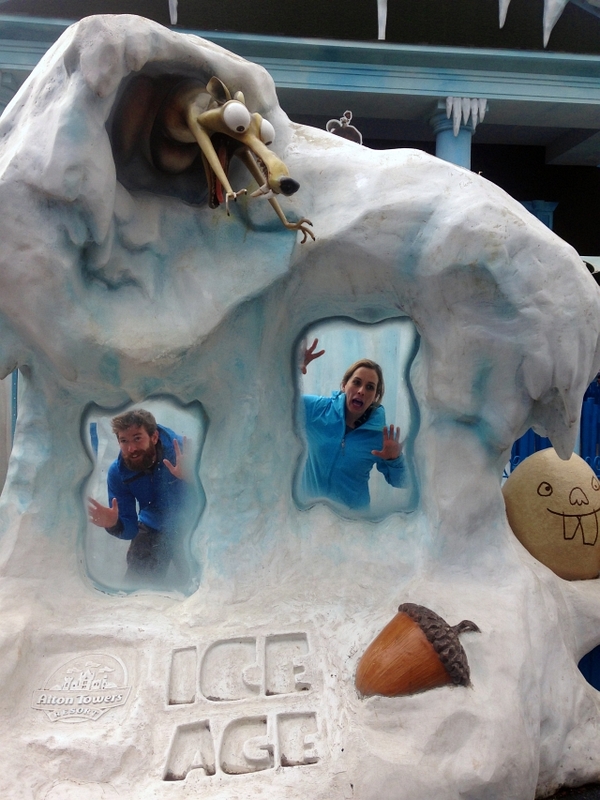 Not only is the Rohan Guardian Jacket great on mountains but it also works well in theme parks! A great thing about rainy days at theme parks is that they’re a lot quieter. We didn’t have to queue for more than 10 minutes for any ride, apart from one… The Smiler. I had thought that after last year’s accident it would have hardly anyone wanting to ride it. I was wrong, their new ride Galactica had a line of less than 10 minutes but the line for The Smiler was almost 40 minutes! Clearly the prospect of leg loss wasn’t putting anyone off! We had met up with a couple friends and went round the entire park with them. Going in a group definitely is the way to do it as it makes the inevitable lines more fun and will make for a better day all round. Obviously all the big roller coasters are great, The Smiler, Rita, 13 and Oblivion were probably my best ones. Some of the surprise favourite rides from the day were Battle Galleons, which is a family ride. You all go on a pirate ship and can shoot at other groups in their ships with your water cannon! It was a proper laugh and totally hilarious. Another attraction that I wasn’t expecting to be good was the Ice Age 4D, it was really well done, funny and I was happy that we had decided to go on it in our last hour in the park. I thought it was just for little kids but if you enjoy the movies you’ll like it. We rode literally every good ride and all the big ones twice and had an incredible time. I had been told that Alton Towers was massive and that we should allow two days to see everything. Possibly this may be the case on a hot August weekend but a rainy Thursday in April was perfect for a one day visit!